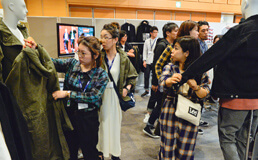 Merchandise Strategy | COMPANY | Right-on Co., Ltd. 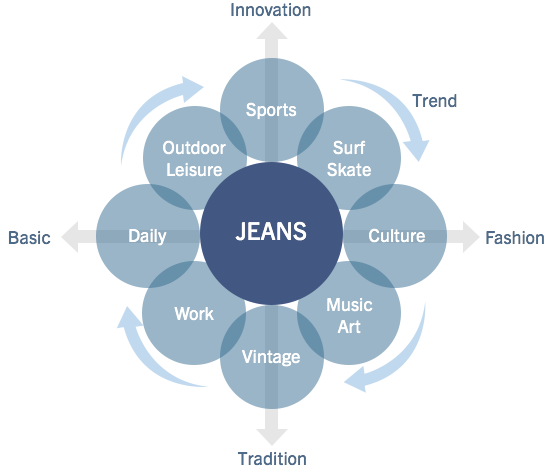 Jeans are the core product category in the Right On MD Plan. 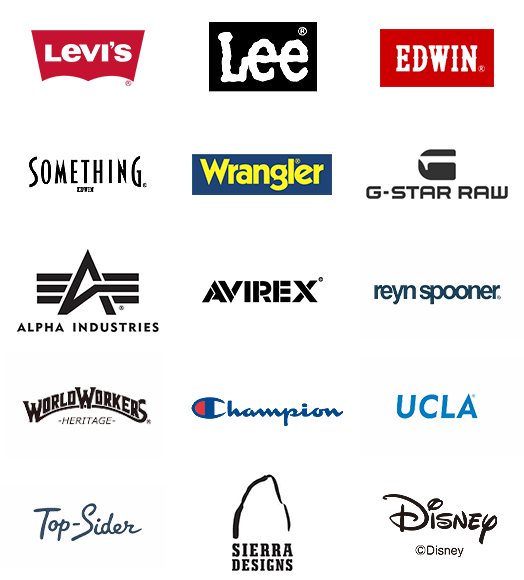 Our product range encompasses leading global brands such as Levi’s, Edwin and G-Star as well as innovative functional products sold as private label brands. Our key value offering is that we always stock authentic products equivalent to or better than our rivals in the retail industry. In the core jeans category, Right On maintains a careful balance of both enduring basic lines and on-trend fashion lines. Basic product lines are designed to be long-lasting, made from the finest selected materials with an uncompromising insistence on quality standards, while on-trend lines add a sense of color and fun and are tuned to the latest developments in the fashion world. Right On is committed to establishing ongoing partnerships with leading brands in various different categories. We seek to differentiate ourselves from the competition by offering a wide range of popular products while at the same time creating a number of unique collaboration lines in conjunction with our partners. When it comes to popular products, we only stock selected lines that we deem to be the best available offerings. Right On is also heavily committed to nurturing private brands, which are more agile and better able to adapt to and reflect the latest developments in consumer tastes and preferences. 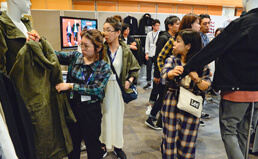 Private brands such as Back Number are defined by an uncompromising focus on product quality. 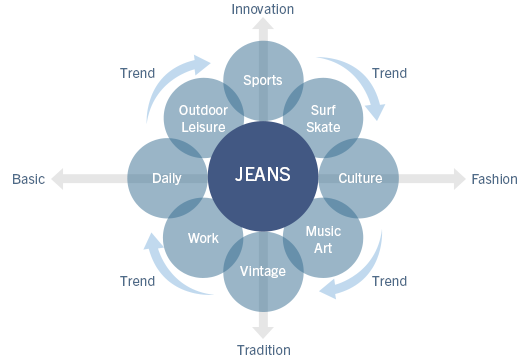 Feedback from the retail sphere is an integral component of the product development cycle. Right On actively seeks feedback from retail operations through initiatives such as the national product conference, where store managers from around the country come together to offer feedback and suggestions on the product range. 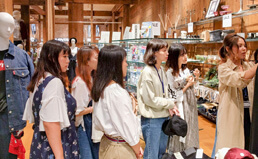 In addition, head office staff are regularly deployed to retail outlets for in-store observation, while customer feedback and product suggestions are incorporated into product development.